The contemporary political world―marked by rebellions and revolutions―necessitates understanding historical moments in their very particularity. The Arab Spring is the most recent example: as civil war engulfs Syria and the remnants of strife remain visible in Libya (and Egypt, and Tunisia), contemporary philosophers analyze this moment in history even as it continues to develop. In doing so, they have often insisted on the particular rather than the universal, marking a move away from ethics and toward accepting even violent means as necessary to move history forward. “[W]e must maintain,” says Badiou, “that the inception of politics―of its statements, prescriptions, judgements and practices―is always located in the absolute singularity of an event.” But the event can only be seen in contrast to the background it occurs against: the state of the (political) world. By ‘state’, Badiou refers to the organization of individuals, the concepts (race, gender, class, etc.) therein, and the institutions―notably the political State―used to these ends. The state is then contrasted with the ‘situation:’ the actual conditions of the individuals organized by the state. Thus, illegal immigrants in America or the bourgeois in pre-Revolutionary France are represented in the situation; they exist as a part of the public sphere―but not the State―without voting rights or power. “The infinity of the state of the situation,” Badiou says, referring to the State’s power, “[…], supposedly controls all the collectives or subsets of the situation” (M 147). An event is a ‘rupturing’ of the State, a break showing that the State’s power is questioned and, as such, altering the very logic the State uses in its organization of the individuals of the situation. The event is the concrete moment in which the State’s particular ordering of the situation is broken. Unrepresented individuals then make themselves known, taking political action against the State. It is the moment, for example, when Mohamed Bouazizi lit himself on fire in Tunisia and inaugurated the ongoing conflicts in the Arab world. In other words, the event shows the organization of the State to be contingent and unequal to the situation, thus disclosing the State’s particular logic. This disclosure makes ‘thinkable’ the overcoming of the State by making it comprehensible as a logic and proposing a new organizing logic to order the situation (the individuals). The event is, in a double sense, the radical beginning of politics as such: it both marks the root cause of the political realm, and it expresses an unwavering, uncompromising demand for change. Badiou specifies this idea with the concept of the ‘political sequence’: a series of concrete actions that, taken as a whole, equal the event. For example, Badiou claims that all of the actions that took place in France between 1792 and 1794 are the political sequence of the event named ‘revolutionary politics’ which measured the State of the Ancien Regimé and broke with it to begin the French Revolution (M 30). We could say that the events from Bouazizi’s self-immolation until Qaddafi’s death (or, perhaps, Mubarak’s resignation or some point yet to come) marks the event named the Arab Spring. A term of this sort―which comes from a part of a situation repressed by the State―is what Badiou refers to as a ‘singularity.’ Those groups gaining power today were obviously part of their nations before 2010, but they were unrecognized politically until the revolutions began. This structure of the political sequence means it is necessarily ‘situated:’ “it is the event of this or that situation.” Because it ruptures this State, an event will necessarily be tied to this situation. At the same time, the event is “supplementary; thus absolutely detached from, or unrelated to, all the rules of the situation” (E 68). In other words, the event is created by a situation’s uncounted parts―illegal immigrants in America or the Syrian rebels―but surpasses its organizing logic entirely by creating a new kind of order. Badiou attempts to take the pure unordered mass of individuals that constitutes the situation and reshape that mass into something new. But, because the situation is only ‘thinkable’ according to the State’s rules—the implication being that its naked parts are unintelligible without a State—it is unclear how Badiou can make this historical shift comprehensible. Put another way, if these singularities only come to light with a new logic, how is it that the event surpasses the situation,which Badiou describes as something without logic, as well as the State? This is the root of the inconsistency in Badiou’s theory. He attempts to resolve the difficulty by claiming that “a singularity is a truth, or more precisely a truth procedure” (M 52). After a political sequence, “[o]ne will then seize this singularity in toto as truth” (M 54). The new logic created by the event is a truth, or, a new thought: democratic thought is becoming a truth in Syria today as Ba’ath logic is negated by the uprisings. This production of new ways to think politics Badiou calls acting “by logic” (M 4). It connects to more traditional understandings of truth by acting as a standard that governs subjects’ new situations. Two important implications arise. First, because these truths are made of the concrete actions taken by agents within the sequence―the whole of which is the truth―truth is created by politics itself. 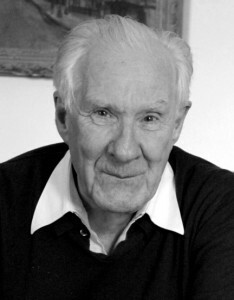 Badiou has made truth subjective, entirely ungoverned by verifiable or objective standards. As such, ethics cannot govern politics, for no ethical truth has currency―hence Badiou’s resistance to humanism, ethics, and traditional political philosophy. Second, only the subjects of a politics have access to the truth of that politics. Because their actions are the event, and the event is the truth, acting is necessary for truth. Only in acting does one take part in the truth. And once the truth exists, only in acting can one know it. This is Badiou’s insistence on beginning with the particular; the concrete, material actions of real-world politics come first, and their truth is not yet imposed on others. This point, though, is the greatest shortcoming of Badiou’s politics for it guarantees that belief reigns supreme in the event; without being able to reference anything besides what they are currently doing, the subjects must rely on dedication. In Badiou’s words, because “[t]ruth is entirely subjective,” it requires pistis, which can be translated either as “faith” or Badiou’s preferred “conviction.” But by resting on empty belief, there is no way to make intelligible the process of the event, no way to organize the political sequence into something that could be universal. This problem becomes clear in the ethical prescription arising from this insistence on conviction: fidelity. Badiou uses this concept to name a precise kind of faithful conviction that defines the relation between political subject and political sequence. Badiou explains its content: “What I will call, in general, the ‘ethic of a truth’, is the principle that enables the continuation of a truth-process” (E 44). As hinted above, the event requires fidelity as its grounding―without such conviction, the event cannot continue because, according to Badiou, it cannot rest on anything outside of itself. Egyptian protestors can find no proof to justify their claims. The Syrian rebels cannot know whether their war is worth continuing: they must simply dedicate themselves to their cause. Along these lines, Badiou also posits a ‘post-evental’ fidelity. Once a truth has been created―a process clarified further below―subjects can remain faithful to it by using that truth as the basis of their political actions. For example, Badiou refers to the Cultural Revolution and the May ’68 riots as the two events to which he remains faithful. That truth then inspires the necessary fidelity and gives a kind of ethics by granting (some) content―the truth―that can measure a subject’s actions. But we can now see that fidelity during the event does not have content. This point is clarified by the event’s axiomatic origins. The event begins with an axiom that is “a political maxim, a prescription” (M 98). The political sequence traces out the effects of this inaugural axiom. Egyptian rebels declared an axiom of equality and justice that is still producing the future truth of Arab politics. That claim of equality was the initiation of politics, not merely an end. But because it is the sequence of this tracing that requires fidelity―the actions begun by the axiom―the axiom itself is not actually the content of fidelity. Finally naming his ethical subjects ‘militants,’ Badiou requires that they attempt to fulfill the ‘virtual’ universality of the event. This universalizability criterion limits possible axioms. To begin a true event, Badiou claims, an axiom must be egalitarian in nature. In essence, for an event to be a true event, it must surpass particulars and address all. However, because the event is unstructured while it is ongoing, this claim amounts to the necessity of an unlimited axiom. Here Badiou has sidestepped the problem of actual universality by theorizing a content-less ethics. What is justified, for Badiou, is whatever actions protect and continue the political sequence; no action that serves the event in this capacity can be condemned, as Badiou demonstrates in his defense of the French Revolution’s Terror. The only question that can be asked of the mass executions of Qaddafi loyalists and the torture Qaddafi met before his death is whether or not they furthered the political sequence. Ethical action during the event has no limits because the only standard for universality is a ‘virtual’ kind within the axiom. Actual actions are unlimited and contextual to an unstructured ‘intra-evental’ situation. The lack of structure arises because this intra-evental situation is of a different kind than the situation discussed earlier. During the event the truth is being created and is not yet formed, so it cannot yet have any rules or any logic (as it has ‘surpassed’ those of the situation). To serve the inaugural axiom is to have fidelity to the process it begins. For Badiou, to claim that a militant has contradicted his own axiom by acting in a new unjust way―as many worry is happening in Syria today―is to forget the structure of politics. The only thing they can contradict is the truth of their politics, but that truth only exists after the political sequence has come to an end. Because the axiom must be transformed into an ethical principle―that is, because Badiou’s ethics must be given content―the militants’ actions are not governed by rules or logic. It is for this reason that Badiou claims “there cannot be a law of truth” and that a truth is not “axiomatic” even though the event is founded on an axiom (SP 14). How, then, does a political sequence end, if not by contradiction or negation? Badiou says that, “[a] political sequence does not terminate or come to an end because of external causes, or contradictions between its essence and its means, but through the strictly immanent effect of its capacities being exhausted” (M 127). That is, the sequence merely fulfills its purpose. But this means we are unable to “gauge the genuine intellectual power that either precedes or follows from” the event: it is only recognizable after the fact (M 127). We cannot know whether the Arab Spring is a genuine event until we see what arises from the revolutions, or until we can be sure a true break has been made with the pre-event world. Thus, the Arab Spring’s logic, its truth, and the ethical guidance they can give to militants in practice are unintelligible during the event. Post-evental fidelity may be able to make use of the newly-created truth as a standard, but that fact marks the end of an event, and is thus unavailable to the event’s militants when acting. So, says Badiou, we may feel compelled to judge the Egyptian militants on the basis of what happens after Mubarak’s resignation, but doing so is assuming that the political sequence could gauge its power. As a truth in toto, the sequence must be judged solely on its own terms, which, from their position within the event, have yet to be fully created. To judge the political sequence in terms of contradiction is to impose post-evental truths onto the sequence of their creation, revising and unduly perforating the singularity of the event. If the Egyptian revolution, and the Arab Spring as a whole, are true events, we cannot condemn them for failure or self-contradiction no matter what arises from their actions or what barbarous acts they may commit. They will have merely exhausted themselves in the creation of Arab democracy. But without the ethical principle contained in that truth, there is no way to make sense of universality in actuality. Because militants have no standards for action except for empty conviction that requires any action that could continue the sequence, universality is unthinkable in action. Without a substantial ethics, Badiou maintains an incoherent universality. And he admits as much: if contradiction is impossible during the event, then coherence as such becomes conceptually impossible. By separating the axiom that begins politics from the ethical principle that governs it, Badiou has trapped himself in particularity. Now that we’ve seen where Badiou’s axiomatic theory falters, I can show how Camus defends the structure of prescriptive politics by rethinking universality and unifying axiom and ethical principle, building an intelligible universality within particular historical moments. I begin with rebellion, Camus’ analogue to Badiou’s event. For him, rebellion means something restricted, something that respects its own limits. The rebels who […] wanted to construct […] a savage immortality are terrified at the prospect of being obliged to kill in their turn. Nevertheless, if they retreat they must accept death; if they advance they must accept murder. Rebellion, cut off from its origins and cynically travestied, oscillates, on all levels, between sacrifice and murder. In other words, rebellion is characterized by a recognition that the status quo is structurally unjust and must be opposed―hence the rebel’s inability to retreat―and a simultaneous recognition that the means of opposition themselves imply a crime. The ‘savage immortality’ that appears to arise from rebellion―the point where rebellion’s initial impetus appears to no longer to govern the sequence―cannot be, and yet the rebel must act. This conflict forms the paradoxical, logical structure of rebellion that creates an inherent limit upon what can be (ethically) done. As we will see, that limit is marked by murder. Moreover, that limit is dependent upon the beginnings of the rebellion. “I rebel―therefore we exist,” says Camus (R 22). This formulation is variously suggestive, but the two most important implications for our purposes are the axiomatic claims to universality and equality. Similar to Badiou’s claim that all are ‘virtual militants’ of the event, Camus argues that a rebellion reaches for universality (by transforming the ‘I’ into a ‘We’). Its virtues must apply to all. And for this reason, it must aim at equality, as all must be equal in their ability to make the same declaration. Rebellion is the assertion of an axiom of equality between one and all. “In assigning oppression a limit within which begins the dignity common to all men, rebellion defined a primary value” (R 281). Camus’ formulation necessitates an understanding―an ethical principle―of equality that rebels must recognize. Rebellion is the very process of the assertion of this egalitarianism. We can already begin to see, then, how Camus’ axiom is an ethical principle. But this point further implies that the claim of rebellion―a claim to act from principle, not simply to take power―must recognize universality as a claim concerning the situation. The principle now instituted refers to a governing logic, not to an individual. Again, this claim parallels Badiou’s rethinking of the State’s logic of ordering. The structure of thought, not the identity of the master, is the problem. Thus, one claims a wrong against the situation: if the slave merely takes his master’s place, there is no rebellion but a coup. The logic must change. The ‘we exist’ half of Camus’ formulation necessitates as much: if the rebellion’s axiom does not apply to all, the rebellion has no coherent ground or claim. It would be a mere simulacrum. Rebels must act towards all―they have a limit on what they can not do. This passage contains the core of The Rebel. Camus condemns any logic that justifies murder on the grounds of a history―either because it helps bring about a desired future state or because it is part of a larger, necessary historical epoch. He denies any logic that determinatively ties ethical action to a historical context, subsuming particular situations under history. To justify an act by history is to implicitly de-value the present. It is to imply that a present claim to justice―to the axiomatic principles of rebellion―are not to be met. It is to deny the ‘we are’ to the ‘we shall be,’ as Camus says above. The axiomatic structure of the statement ‘I rebel, therefore we exist,’ demands the present be equal to the future. If not, the very structure of politics is denied and rebellion’s logic is made incoherent. The situatedness of the rebellion―the fact that the axiom is declared now―implies that as a universal, logical claim it is definitively tied to the present. Because it is universal, the present cannot be devalued to the future, otherwise it would be a mere instrument. By not separating history into pre- and post-event with an ontologically uncontainable state between them, Camus is providing a framework to make historical change sensible even as it is ongoing. The axiomatic aspect of rebellion’s principles conditions this thought. Camus does not claim that rebellion’s ends should exist, or that they will exist, or that it would be morally right if they existed: “Nothing justifies the assertion that these principles have existed eternally; it is of no use to declare that they will one day exist” (R 283). Rather, the axiom is a demand for equality (or justice or freedom) against the State. Because the axiom acts as an ethical principle for the rebels during the course of their rebellion, the coherence between the rebels’ actions and their axiom is the justification of their logic. Every (legitimate) rebellion has this form. And as a result, for Camus, universality is not a matter of Badiou’s virtuality, but of actuality. Because “[rebellion’s] reasons―the mutual recognition of a common destiny and the communication of men between themselves―are always valid” at the same time they are axiomatic, Camus is demanding concrete coherence between the rebellion’s actions and its axiom (R 283). The axiomatic principles are merely actualized by their declaration. But this is possible only because Camus does not posit an axiom that is (materially, historically) transformed into an ethical principle. As a result, though Camus may have supported all of the Libyan rebels’ actions, he has built the framework to sensibly ask the ethical question of them, even though it is based in particularity. This is because the actual universality Camus posits provides a substantial ethics: murder is the limit of rebellion and cannot be justified. “Logically,” he says, “one should reply that murder and rebellion are contradictory. If a single master should, in fact, be killed, the rebel, in a certain way, is no longer justified in using the term community of men from which he derived his justification” (R 281). The claim is drastic: to murder anyone, even the source of injustice, is unjustifiable. It denies all egalitarian maxims by denying the victim the chance to meet rebellion’s demand―and it does so because Camus’ concern is actuality: Badiou’s universality in principle holds whether acted upon or not. But Camus shows in the first three sections of The Rebel that rebellions that have accepted murder became incoherent. Camus navigates this paradox by insisting on murder’s exceptional status. One should rebel, even by murder, but simultaneously recognize murder as contrary to one’s own principles. An act of murder, we can say, will be legitimate but not just: legitimate in battling the unjust present, but unjust itself because legitimacy cannot clear the rebel of guilt. This claim―which is the core of Camus’ argument against Robespierre and Lenin, as well as his defense of the Russian terrorist Kaliayev―asserts that history cannot enter into politics’ logic. This time, this point in history may legitimize an act, but it cannot justify that act because ethical principles are eternal. Their universality must be protected in the material actions throughout the rebellion. For this reason, even the legitimacy of murder is conditional. First, the victim must be a cause of the present injustices―e.g., the master of the slaves or the Ba’athist dictator. The murder of innocents can only be legitimated by historicist arguments unavailable to the coherent rebel. Second, the rebel’s act must be recognized as a crime by her own standards. She must recognize her own guilt as a failure to cohere with her axiom: only this recognition ensures murder remains exceptional, protecting a practical manifestation of the rebellion’s logic. The crime of Saint-Just and Robespierre was allowing the Terror to become an institution that altered the rebellion’s logic. Camus’ notion of coherence thus replaces Badiou’s fidelity. Against Badiou, coherence is always possible for Camus, whose interest in guilt here does not concern the legitimacy of punishment or its administration, but rather the status of the rebellion’s thought. In that regard, guilt is measured by whether the rebel abides by the structure of her rebellion―the same axiomatic structure we saw in Badiou. When guilty, the rebel’s crime is denying the rebellion’s structure and thus destroying it. “[Rebels] throughout the entire world, refuse, on the contrary, to be deified in that they refuse the unlimited power to inflict death. They choose, and give us as an example the only original rule of life today: to learn to live and to die, and, in order to be a man, to refuse to be a god” (R 305-6). The rebel’s double imperative―the need to rebel and the criminal means required to do so―define limits which outline the demands of coherence. This ethics captures universality in actuality. History has no place in rebellion’s logic; instead, rebels have “uncompromising” means defined by their axiom, which always governs their actions. As such, history amounts to a continuing, unified present. The benefit of this view becomes clear once we see Badiou’s binary historicism. Badiou’s separation of axiom and principle exists because, for Badiou, the event breaks history in two. That is, at most, the event’s truth will have been after the event. This is what Peter Hallward, following Lacan, has referred to as the ‘future anterior.’ The process of becoming―the political production of a truth―exists only after the event as post-evental fidelity. It cannot act as a rule during the process that creates it because pre- and post-event history are different entities, the second of which solidifies the first. Badiou further characterizes this binary historicism: “[T]he intellectuality in question remains homogenous […]. Let us quote the key synthetic conclusion, which guarantees that the distinction between taking-place and having-taken-place allows us to avoid passing through either history or time” (M 48). We are either in an event―taking-place―or recognizing its truth in retrospect―having-taken-place. To condemn a militant for using anti-democratic means opposed to the ends of the Arab Spring is to measure her against an objective temporal and historical standard that has no place in politics, and that exists, at most, in the having-taken-place. Badiou cannot understand these events in real time―only in retrospect. He explains: “[A]lthough the event depends on its site in its being, it must be independent of it in its truth effects” (SP 23). In other words, the universalizable logic of the event is not connected to the history in place during the event itself. Consequently, a militant cannot actually understand his universal claims while he is acting. Bensaïd is right to argue that Badiou cannot offer the Syrian rebels any practical advice today, for the process of becoming they are engaged in at this moment in history is not truly intelligible until completed. 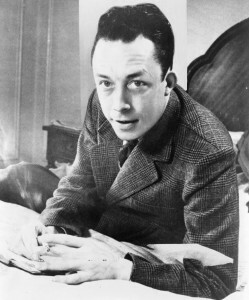 However, precisely because of the axiomatic quality of his theory, Camus engages these historical happenings: rebels must understand their historical context in order to continually recognize their axiom as an ethical principle. This form of prescription engages with history at its very core by avoiding Badiou’s binary historicism and positing a single, universal history constantly made intelligible by rebels’ coherent actions. We can now clearly see Camus’ addition to the tradition of militantism. His determined rejection of historicism and his insistence on a substantial ethics results in an engaged politics that is sensitive to historical situations. From within the axiomatic framework Badiou champions, Camus’ return to ethics shows the way to the universality that Badiou fails to reach. By way of conclusion, we can highlight the differences each thinker would likely make on the war crimes allegedly being perpetrated in Syria today in support of the revolution, including summary executions, torture of captives, and abduction of civilians to facilitate prisoner exchanges. Especially because “most of the serious human rights violations […] were committed by the Syrian army,” (ibid.) Badiou would defend any abuses rebel factions have committed as necessary for the continuation of the political sequence. For him, these actions are virtuous and paramount examples of fidelity because they show commitment to battling the Assad regime. These militants act with the kind of subjective faith that lies at the core of political ethics, and only through them can the future truth of Arab politics, whatever it may be, be created. The process of producing that truth lies in a separate historical moment that we cannot yet understand. Contrarily, Camus would decry these actions in a manner Badiou rejects as ‘revisionist humanism’. In truth, however, Camus has shown us an axiomatic theory that can actually understand the universal claims the rebels make, thus holding them to their own declared logic at all times―even in the midst of a brutal civil war. As such, no unnecessary brutality and no attacks on civilians can be justified. If the Syrian rebels are indeed committing these acts, they are negating their own axiom―not simply because they are murdering, but because they are ignoring the limits of their logic and letting it slip into incoherence. They are denying their own legitimacy and losing the possibility of universality. Camus’ subtle account demonstrates the possibility of a practical, concrete universalism that engages with particular historical moments. He can offer guidance to subjects without a misguided historicism, and demand a strict, logical egalitarianism that outlines the requirements of coherence―requirements sensitive to both historical necessity and the logic defining the movement. Thus, Camus alters militantism by offering a lucid account of rebellion-as-politics. By de-fetishizing violence, he insists on what could be called a radical humanism: an axiomatic yet substantial ethics producing a new kind of practice. With this framework, we must follow Camus and condemn any justification of unnecessary violence as a criminal precisely because it is militant and take up “the only original rule of life today”: rebellion. See Slavoj Žižek, Ernesto Laclau, Michael Hardt, and Antonio Negri for examples. Jacques Rancière offers a related, but importantly and interestingly distinct theory. Hallward, Peter. “The Politics of Prescription” in South Atlantic Quarterly, Fall 2005, Issue 104 (4): 769-789. Badiou, Alain. Metapolitics. New York: Verso, 2005. Page 23. Further citations will be denoted by M and a page number. Rancière refers to this as ‘counting’. See his Disagreement. I will use the capitalized ‘State’ to refer to the political meaning of the term and the lowercase ‘state’ to refer to the general meaning. The term ‘state’ is actually a shorthand for ‘state of the situation’. They may also be ignored by the general political unconscious―which would be part of the state―but this complexity can be ignored for our purposes. Badiou uses the technical terms ‘represented’ and ‘presented’ along with the possible statuses ‘normal’, ‘singular’, and ‘excrescence’ to define the possible conceptual relations an individual could have to a State and a situation. I will skip most of these details. See Being and Event, chapter eight for more information. As we will see, Badiou believes the event is only recognizable after it has ended. As such, some of these claims about the Arab Spring, given its contemporaneity with this paper, must be taken as predictions or possibilities. Badiou’s technical definition of singularity from Being and Event’s dictionary: “A term […] presented (in the situation) but not represented (by the state of the situation)” (p. 522). Badiou, Alain. Ethics. New York: Verso, 2001. Page 68. Further citations will be denoted by E and a page number. Badiou takes this phrase from Georges Canguilhem’s discussion of French Resistance fighter Jean Cavaillès. This is the basis of Badiou’s notion of ‘fidelity’, discussed below. Further, this notion of truth is a sticking point for Badiou’s critics. But perhaps it helps to connect Badiou’s understanding of truth to a statement of Heidegger’s: “But here everything depends on steering clear of any conception of truth which is construed in the sense of ‘agreement.’” See Being and Time, p. 56 (H 33). Badiou, Alain. Saint Paul: The Foundation of Universalism. Stanford: Stanford University Press, 2003. Pages 14-5. Further citations denoted by ‘SP’ and a page number. It is helpful here to think of Badiou’s parallel to the Christian subject: an integral (but tangential to our purposes) part of his theory is that the event creates the subject as such. In the same way that the Christian is ‘reborn’ after she recognizes the resurrection―a recognition that rests on faith―the political subject is a new person after the event. See Saint Paul for more details. References to these two events abound in Badiou’s work―see Bruno Bosteels’ “Post-Maoism” in positions, Volume 13, Number 3, Winter 2005: 575-634 for more details. This point may be clarified (and make Badiou’s notion of truth more palatable to the ‘unfaithful’) by a parallel to aesthetic judgments: Badiou is positing a notion of truth that seems similar, in ways, to Kant’s judgments of beauty. It is both subjective and universal, and we demand others accept it (See the Critique of Judgment, p. 52). The same point can be found in Stanley Cavell’s work: every individual finds his own ‘truth’ (if we are to follow Badiou in calling it such) in a work, but it must be possible for all to see it. See Must We Mean What We Say, p. 93 and passim. Perhaps we can phrase this in a Wittgensteinian way: without the rules of an ethics―without a ‘law of truth’―we cannot possibly understand the particulars in any systematic way that might lead to universality. Intelligibility of something transcending a particular requires rules that Badiou denies. Camus, Albert. The Rebel: An Essay on Man in Revolt. New York: Vintage, 1991. Page 280. Further citations will be denoted by ‘R’ and a page number. Of course, this isn’t the only possible situation. But this is both the situation Camus is discussing and the limiting situation. If a particular scenario arises in which rebellion does not require murder, then obviously there is no dilemma. The structure of politics would be the same, only less visible. The word ‘dignity’ smacks of Kantian morality, but as will (hopefully) become clear, Camus’ ethics have a much different basis. Camus uses this point to make a distinction between rebellion―that which recognizes its logical limits―and revolution―which has denied them. One version of these conditions is outlined by John Foley in “Albert Camus and Political Violence” in Albert Camus in the 21st Century: A Reassessment of his Thinking at the Dawn of the New Millennium (Eds. Christine Margerrison, Mark Orme, and Lissa Lincoln). New York: Rodopi, 2008. 207-222. The murder discussion also shows, as with Badiou, that Camus claims rebellion requires sacrificing oneself. This demand stems from the belief, again similar to Badiou, that rebellion constitutes the (political) subject as such. Jacques Rancière again offers an interesting parallel to both men in Disagreement. As noted before, Badiou claims the political subject is created in the event. This fact further elaborates our point here. “The Politics of Prescription”, p. 776. Bensaïd, Daniel. “Alain Badiou and the Miracle of the Event” in Think Again: Alain Badiou and the Future of Philosophy. Ed. Peter Hallward. New York: Continuum, 2004. 94-106. Page 98. Further Citations will be denoted by ‘BM’ and a page number. Matt Hartman (MAPH ’12) studied philosophy at the University of North Carolina at Chapel Hill before starting MAPH. His interests center on art, politics, and how they shape subjectivity. He has published essays, criticism, and the odd poem at ASAGE, Forge, and The New Internationalist, and presented his work at various conferences. Matt will be returning to Durham, NC where he will teach at an after-school program and sit on his new porch.